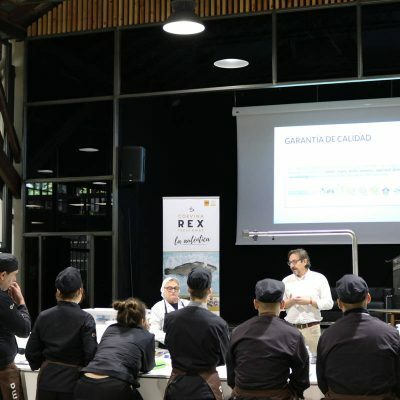 Corvina REX continues to accompany young culinary promises in their training and, this time, it was the Gastronomy & Culinary Management Master’s students of the Gastronomic Campus GASMA the ones who have enjoyed a complete masterclass sponsored by the brand. 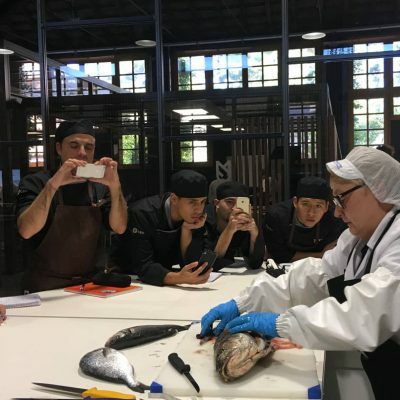 Among the theoretical contents, there has been an introduction to aquaculture, reproduction of fish techniques – and other aquatic organisms – that represents the future’s food supply. 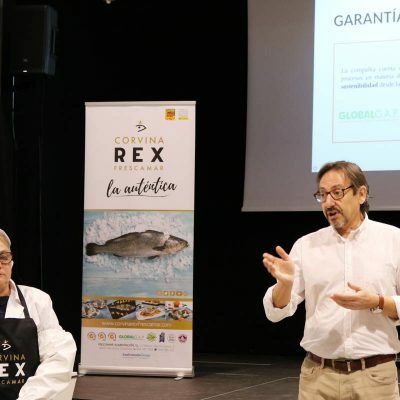 Additionally to Corvina, which the company sells under the brand Corvina REX, Frescamar also breeds other species, sea bream and sea bass, which have also had a leading role during the workshop. 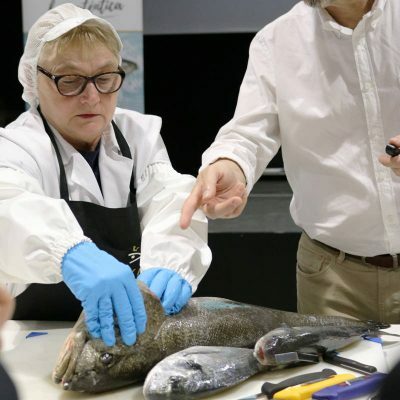 Students have shown great interest about the company’s aquaculture activity developed both in Castellón (where the campus is also located) and in the province of Alicante. 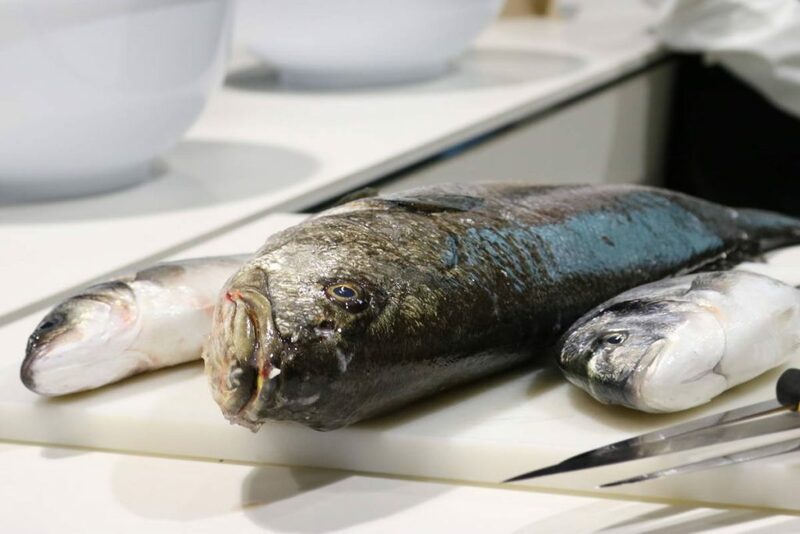 The breeding, fishing and the subsequent fish processing and marketing have been perfectly reflected in the audiovisual projection that has supported the company’s presentation. 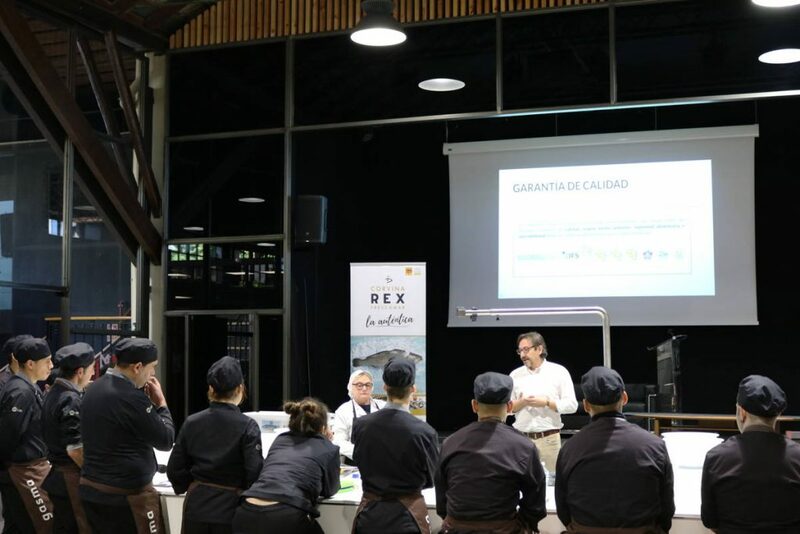 Within the theoretical block, students have been enlightened about the properties of the three species, with special attention to Corvina REX Frescamar and its culinary versatility. 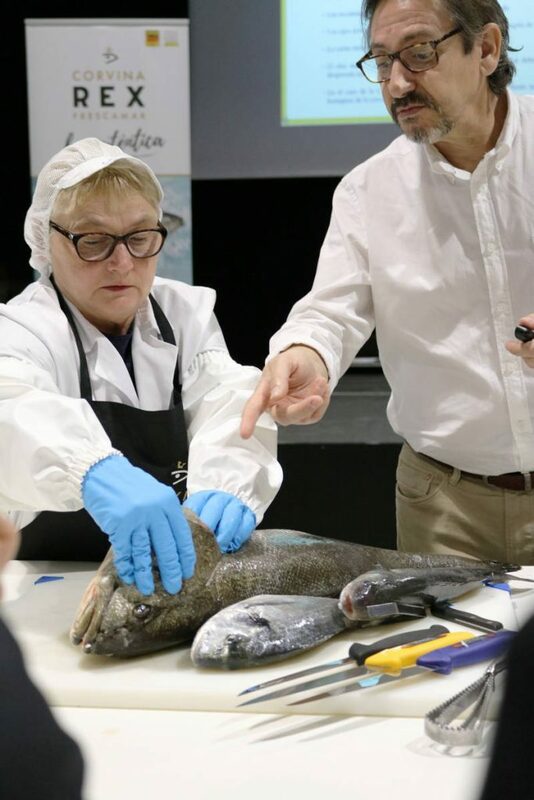 The masterclass has concluded with an interesting cutting demonstration held by one of the professionals of the company’s processing plant, who has shown the most common cutting options. 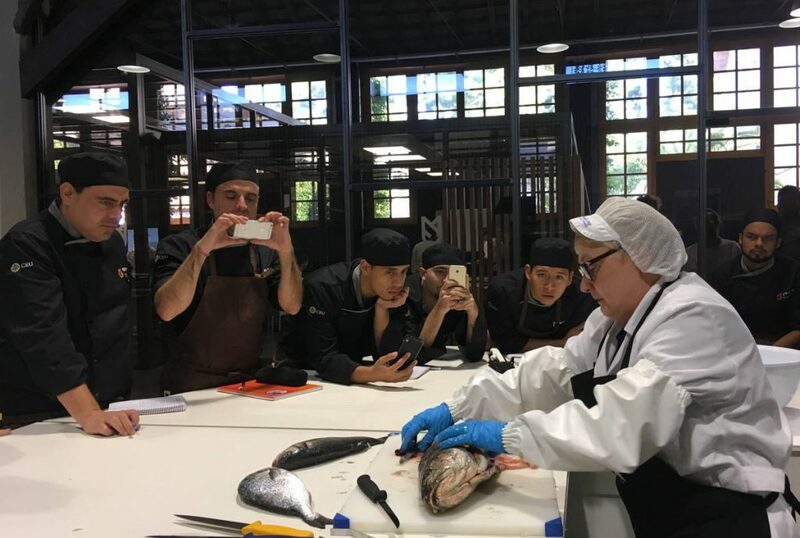 Students have taken good notes because next step will be to practice in class everything they learned. 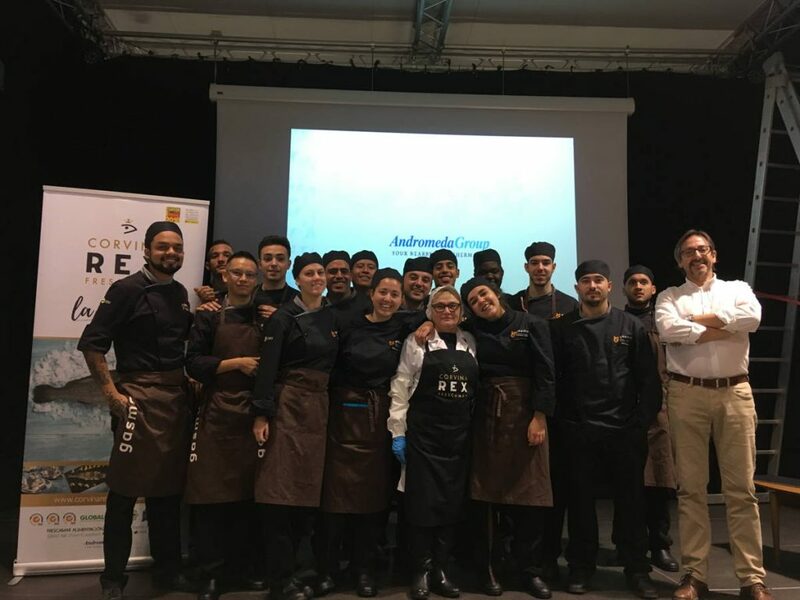 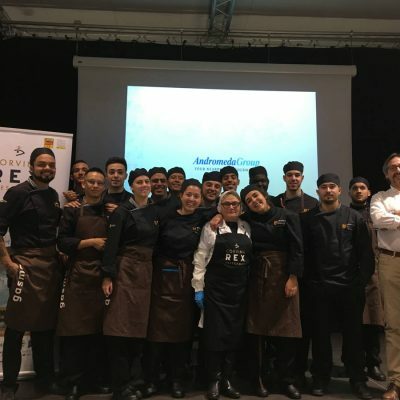 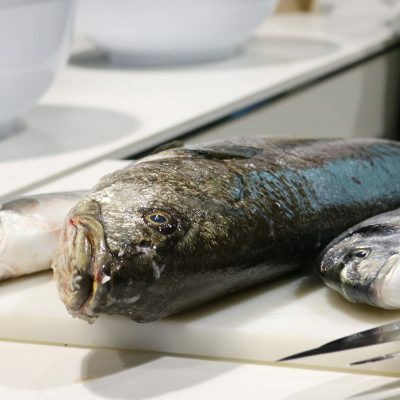 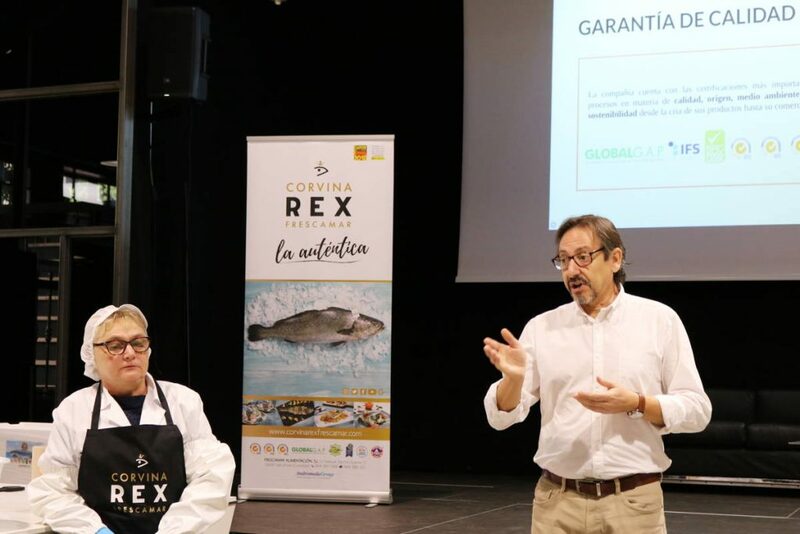 Frescamar Alimentación and GASMA- Gastronomy & Culinary Management Campus have a collaboration agreement for the promotion and empowerment of Corvina REX in haute cuisine.